The Miniature Schnauzer is an intelligent, loving, happy dog. It is energetic, playful, gets along well with children and likes to be with its people (Must be socialized well with gentle and calm children). Affectionate, keen, devoted and docile. With proper leadership it can get along with other dogs. Socialize this breed well. It makes a good companion and family pet. The Mini Schnauzer will not listen if it senses it is stronger minded than its owner. Owners need to be calm, but firm, possessing a natural air of authority. These dogs do not have a yappy bark, but rather they make sounds like a low, carried-out howl of a voice. This breed makes a good watchdog and vermin hunter. An easy dog to travel with. Some can be reserved with strangers if the humans do not provide stability in their lives, but most love everyone. Do not allow this little dog to develop Small Dog Syndrome, human induced behaviors where the dog runs the home. This can cause a varying degree of behavior problems, including, but not limited to separation anxiety, being willful, nervous, barky, guarding, bold, sometimes temperamental, and not hesitating to attack much bigger dogs. A well-balanced dog that gets enough mental and physical exercise will have a totally different personality. These are not Miniature Schnauzer traits, but rather behaviors brought on by the way the dog is treated by the people around them. It is all up to the humans. As soon as the humans start being true pack leaders, the dog’s behavior will change for the better. Weight: This can also vary in the breed. The typical weight is 12 to 18 pounds but can be under 12 or over 18. The Miniature Schnauzer is a good dog for apartment life and will be calm indoors so long as it gets enough exercise. Exercise These energetic little dogs need daily, long, brisk, walks or jogs, and love play sessions off the leash. While out on the walk the dog must be made to heel beside or behind the person holding the lead, as in a dog's mind the leader leads the way, and that leader needs to be the human. Dogs that do not get to go on daily walks are more likely to display behavior problems. Teach them to enter and exit door and gateways after the humans. The Miniature Schnauzer is a German breed. During the years around the turn of the century, both smooth German Pinscher and coarse-haired Schnauzer pups appeared in the same litters. The German Pinscher Schnauzer Club initiated a policy requiring proof of three generations of pure coarse-haired Schnauzer coats for registration. This quickly helped set type and made them a distinct breed from the German Pinscher. These Schnauzers were given the name Standard Schnauzer. Miniature Schnauzers were developed by crossing small Standard Schnauzers with the Affenpinscher and possibly the Poodle. 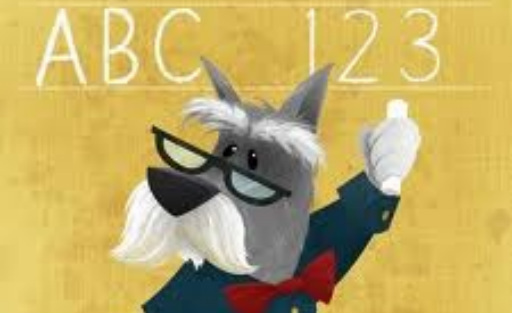 The Schnauzer name derived from the German word "Schnauze," which means "muzzle." It was used as a ratter and still retains the ability, but is mostly a companion dog today. Some of the Schnauzer's talents include: hunting, tracking, ratter, watchdog, competitive obedience and performing tricks.